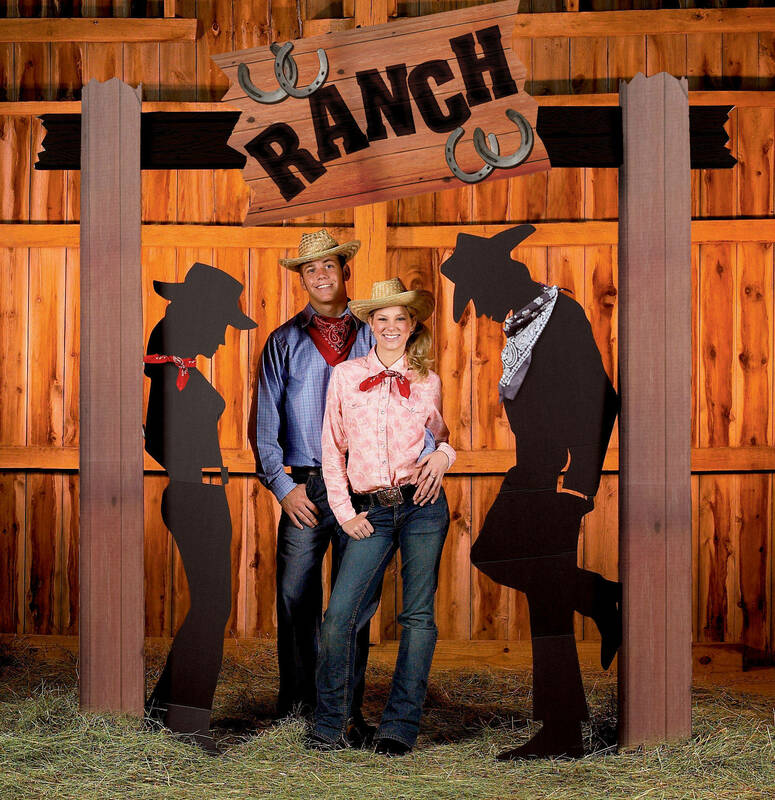 Bring a western themes concepts events to life with a small town jail, wooden fences, farm animals and a saloon! Decorations create the perfect cohesive look that will have one expecting to see tumbleweed and passing horses. 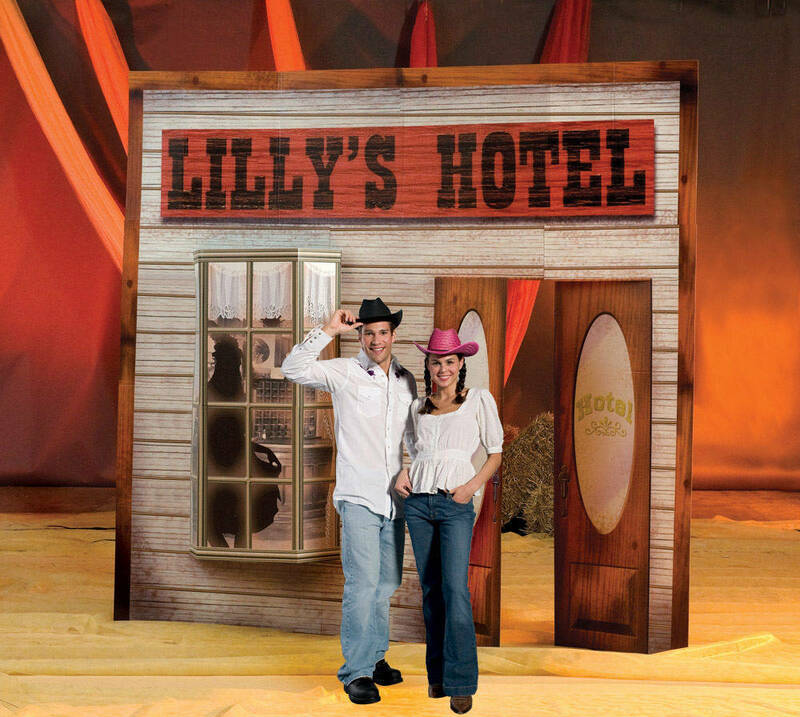 Our western themes concepts supplies allow you to give your Western event theme a fiesta, cowboy or farm appearance. Time to rent some western gear — cowboy boots, cowboy hat, bandanna, jeans and a checkered or Western shirt. This look works for cowboys as well as cowgirls. For a more feminine touch, wear a jean miniskirt and add pigtails or a June Carter Cash bouffant. Add some glitz with sparkly accessories for that rhinestone cowboy look. Grab your pardner, and get ready to get down. Western parties are the perfect time for line dancing, square dancing or doing your best Texas Two Step. For novice dancers, hire a professional dancer or ask a friend to show everybody how it’s done. An old-fashioned game of horseshoes is another great way to get everybody involved. You’ll need a lawn, two stakes and some horseshoes for this one. Place the stakes in the ground 40 feet apart on a relatively flat surface. For kids, you may want to buy rubber horseshoes and shorten the distance. There are various kinds of scoring. Here’s one easy way to score: A horseshoe that encircles a stake earns you three points, a horseshoe that leans on the stake is two points, and (if no horseshoes reach the stakes) the nearest horseshoe to the stake is awarded one point. To prevent injury, be sure to keep people from entering the game area while you’re playing.